Graphic Details: in Essays and Interviews, edited by Sarah Lightman, has been nominated for a Will Eisner Comic Industry Awards. The Will Eisner Comic Industry Awards, commonly called the Eisners, are the “Oscars” of the Comics Industry and presented annually at the San Diego Comic-Con. 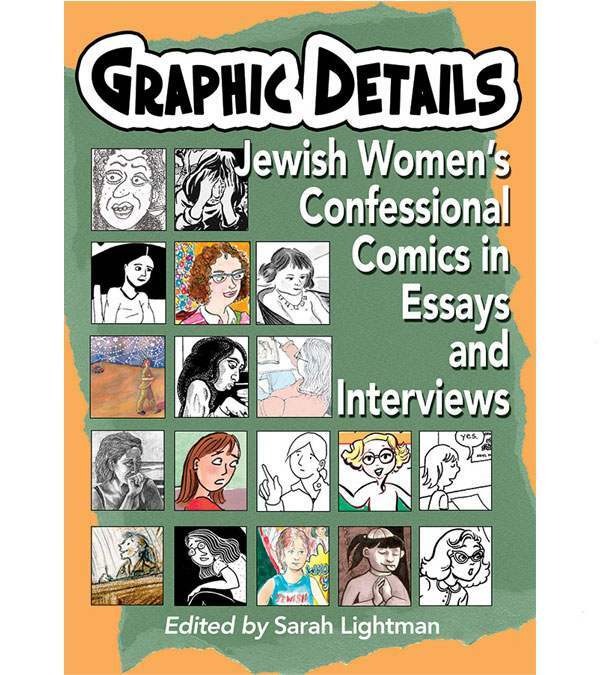 Graphic Details: Jewish Women’s Confessional Comics in Essays and Interviews (McFarland 2014) is the first book on Jewish women and comics. It features artwork and interviews with the artists in the internationally acclaimed touring exhibition “Graphic Details: Confessional Comics by Jewish Women”. The comics within the book capture in intimate, often awkward, but always relatable detail the tribulations and triumphs of life. In particular, the lives of 18 Jewish women artists who bare all in their work. The comics are enhanced by original essays and interviews with the artists that provide further insight into the creation of autobiographical comics that resonate beyond self, beyond gender, and beyond ethnicity. Awarded the 2015 Will Eisner Award for Best Scholarly Work on Comics and The 2015 Susan Koppelman Prize for Best Feminist Anthology awarded by the Popular Culture Association/ American Culture Association.